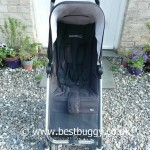 The Maxi-Cosi Noa is an incredibly light, manoeuverable & compact pushchair. The Noa is surprisingly strong and sturdy for even a larger toddler. It's amazing one handed fold allows the pushchair to be opened & closed quickly even with an older baby tucked under one arm. 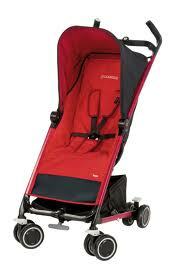 Good suspension and a two position reclining seat offers a comfortable ride for a child. 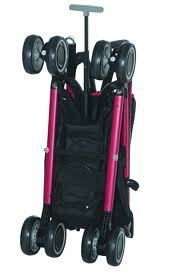 A lightweight pushchair that folds into a very compact shape which is easy to carry and freestands. The fold is one handed and is done quickly and easily. 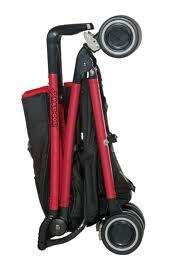 A telescopic handle allows the Noa to be pulled along behind you. A zip recline & suspension, offers comfort for a sleeping child. Raincover, basket and parasol clip are included. The basket is small - but is able to take more than you think. Small double wheels. Lockable swivel front wheels. Amazing one handed fold which makes the Noa into one of the most compact pushchairs on the market. When folded a telescopic handle can be pulled out from the centre of the pushchair and then the Noa can be pulled along behind when walking.